Here is a time-lapse sequence including two overhead passes by the International Space Station [ISS]. Both passes begin in the lower-left corner of the frame and end in the upper right. The first pass occurs between 0:46 and 0:47, and the second pass between 1:05 and 1:07. The station appears as a streak of light in these 4-second exposures. 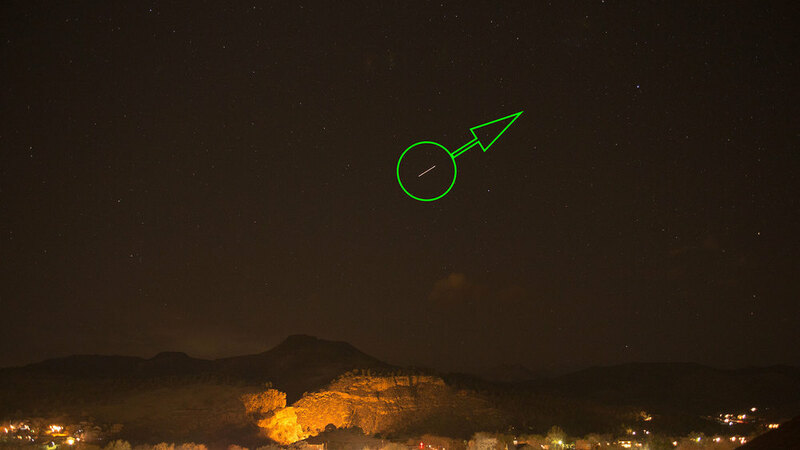 The International Space Station [center of green circle] overhead, pass 1, at 7:17 PM on 8 Feb 2013. Green arrow indicates direction of travel. Visible in the frame for about 1 second. Pass 2, at 8:06 PM on 8 Feb 2013. Green arrow indicates direction of travel. Visible in the frame for about 2 seconds. 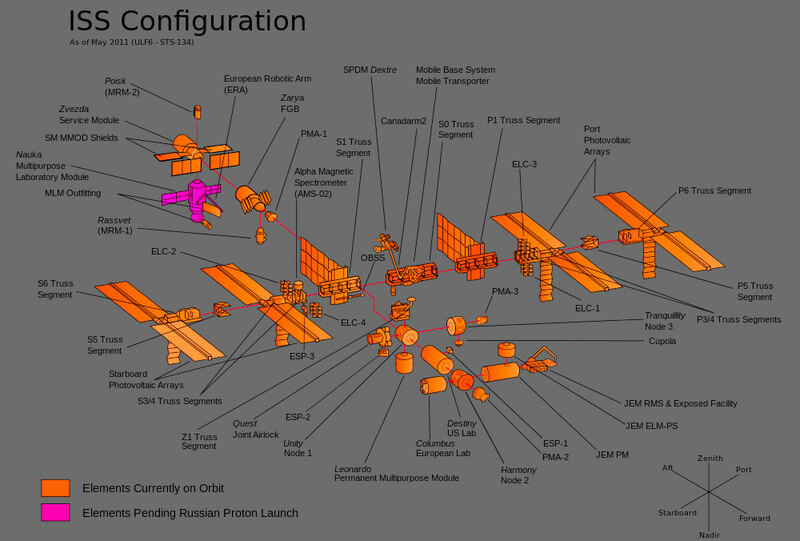 Major components of the International Space Station [shown as of May 2011]. Link. Published on February 10, 2013 by Mark Johnston.